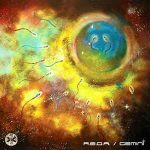 Born together with the Hip Hop movement, R.E.D.A. [Rythme Elémentaire d’une Distortion Analogique] has grown by hearing reggae and disco loved by his parents and their neighbors who were listening music principally on 45 Rpm and tapes. 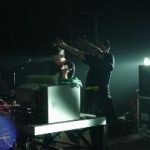 He played live with his machines in numerous of venues in Europe including Dour Festival and La Criée in Rennes city for the famous artist Jean-Luc Moerman. 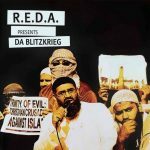 The inspiration sources of R.E.D.A. R.E.D.A. who has loved music very early, discovered the conventional rap through mythic groups like Run-DMC, Public Enemy, EPMD, Eric B. & Rakim and began to collect a large number of tapes via the local store through which he is developing his own musical vision of Hip Hop far apart from some actors of this art and their puerile rivalry. R.E.D.A. was tired of this mediocrity and apathy and decided to make his own musical stuff and ’’…give to the “Belgian Hip Hop” a musical radiance which it should ever have kept’’. Hot supporter of the integrity and preservation of the Hip Hop culture, he wants to play a concrete role in the renewal of the Hip Hop music at a european level and set up a deontology code. 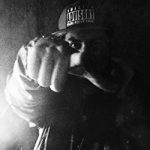 In parallel of the hip hop work, he has made the music of three horror movies ”La Cicatrice” (2009), ”Cannibal” nominated in the ”Best Film Debut” category at Raindance Film Festival(2010) and ”Zone” (2013). All of them were directed by Benjamin Viré. His first critically acclaimed album called “Gemini” is the warranty of this will. Five years later and a maxi vinyl single he has released his second album called “Da Blitzkrieg” with many rappers such as Insight (Boston), M.Sayyid Of Anti-Pop Consortium (New York), Sensational from Wordsound Records (New York), Main-Flow of Mood (Cincinnati), Donwill of Tanya Morgan (Cincinnati), Lumba of Rubberoom (Chicago), and more. He has also worked with Bigg Jus the former member of Company Flow, K-the-I??? and Dinco D of Leaders Of The New School the first group of Busta Rhymes. R.E.D.A. 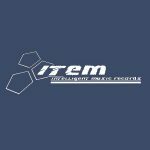 is the founder of IteM Records [intelligent music records] with Electro/Techno producer Gyfrax.